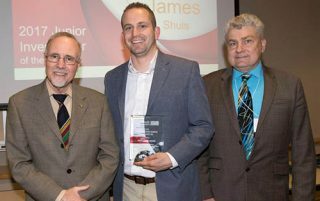 Shuls was honored for his research into the public school retirement system of Missouri. He is an assistant professor of educational leadership and policy studies and teaches in the Department of Educator Preparation, Innovation and Research in the UMSL College of Education. He earned a doctorate in education policyfrom the U of A and was a Doctoral Academy Fellow.